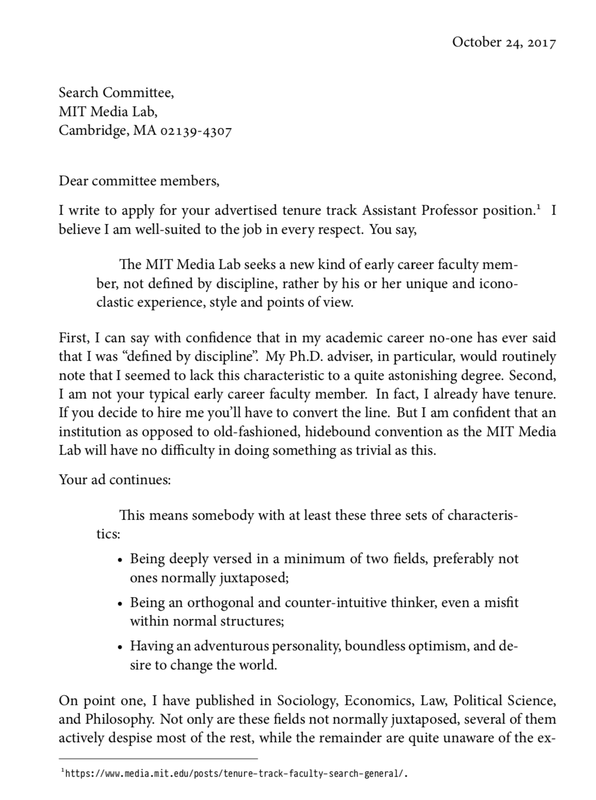 After seeing this spectacular job advertisment for a tenure-track position at MIT’s Media Lab, I felt compelled to apply. 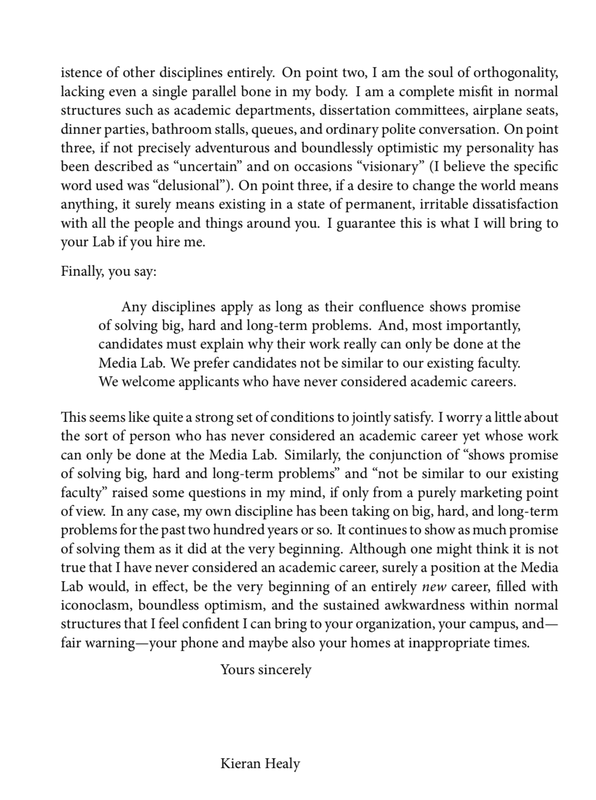 My letter is below. Please contact me if you require any further materials.